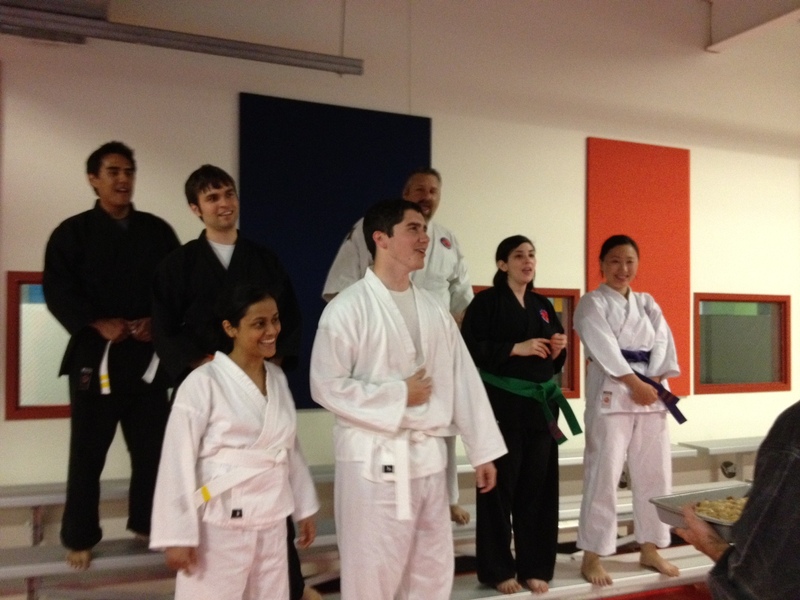 We recently celebrated Sensei Phil’s birthday at Karate Club. You’d think with all the celebrating we do, we’d each weigh 800 pounds. But Renshi’s workouts burn 600-1000 calories in the 60-90 minutes we’re on the mat, so we don’t worry about it too much. 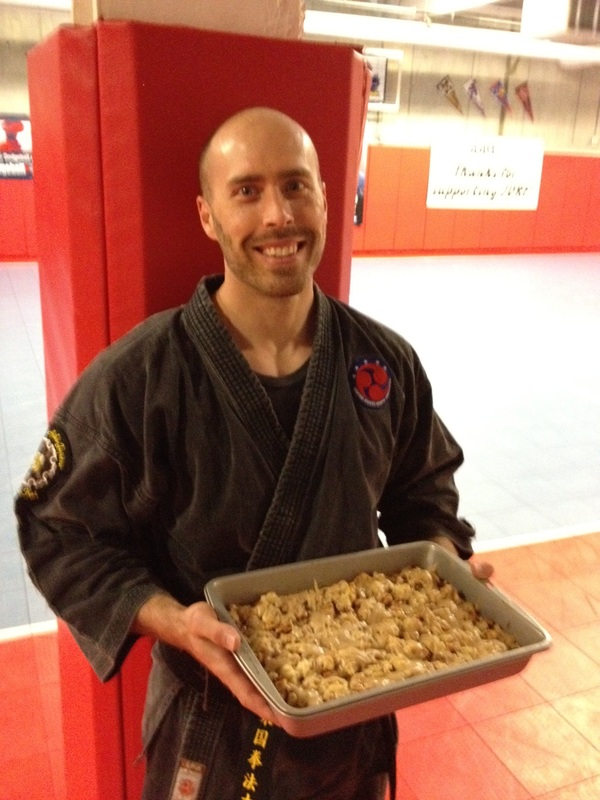 Phil asked for “Something fruity…but not fruitcake.” Well, lucky me – that meant I got to choose something! I love it when that happens! I started digging through my recipes and various blogs and found several fruit-based recipes that I’d like to try. But I only needed one, and this is what I settled on. Taking new recipes for celebrations sometimes makes me nervous. Not only do I not know if the recipe even turned out properly, but I also don’t know if the dessert is going to be any good! And if it isn’t, I’m afraid the celebration will be ruined. Luckily, that hasn’t been a problem so far, knock on wood. These bars have a somewhat delicate crust that is more like a pie/short pastry crust instead of a cake. You can use any type of apple you like, mix up a variety, and even use pears if you like them. As with most fruit desserts, you can add nuts or leave them out. Click for recipe. When it came time for the glaze, the recipe called for a basic powdered sugar glaze made with vanilla and milk. When I went to get vanilla from the pantry I noticed my maple flavoring and thought that would be a good touch for the topping. I was right – the maple glaze was the right touch for the apples. The dessert was a hit! I loved it because it reminded me of the pastries we used to get in Chicago when I was growing up. It’s sweet enough without being overly sweet. I’m sure I’ll make this again, and I’m sure – as always – I’ll tweak the recipe. In fact, I wish I had some apples here now, so I could make another pan of those delicious treats!